The fair runs until Sunday, April 22. Fort Wayne, Ind. (WANE) - A small carnival is opening up to the public in the parking lot of the Glenbrook Square Mall. It's being put on by North American Midway Entertainment. It includes various rides, food stands and even some games for the kids. Carnival organizers said this can help people get a taste of a vacation. "An opportunity came around and we decided we would come out," Mitch Houston said. "We try to put on something good for the people of Fort Wayne and the kids. For anyone who can't go to Cedar Point, Kings Island or Disney World, we can offer a little bit of the experience." Houston says all the rides undergo inspections regularly. He also hopes this will be a great way to enjoy the weather. "People have been cooped inside all winter long and hating the Indiana weather, so this is a great way to get out and get active," Houston said. 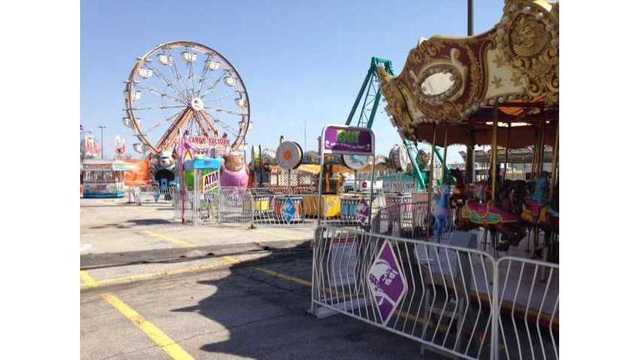 The fair opens at 4 p.m. Thursday and runs until 11 p.m. It continues into the weekend from noon to 11 p.m. Then during the week it runs from 4 p.m. till 10 p.m. The final day of the fair is Sunday, April 22.